Personalised Engraved Round Porthole Stainless Steel Hip Flask. 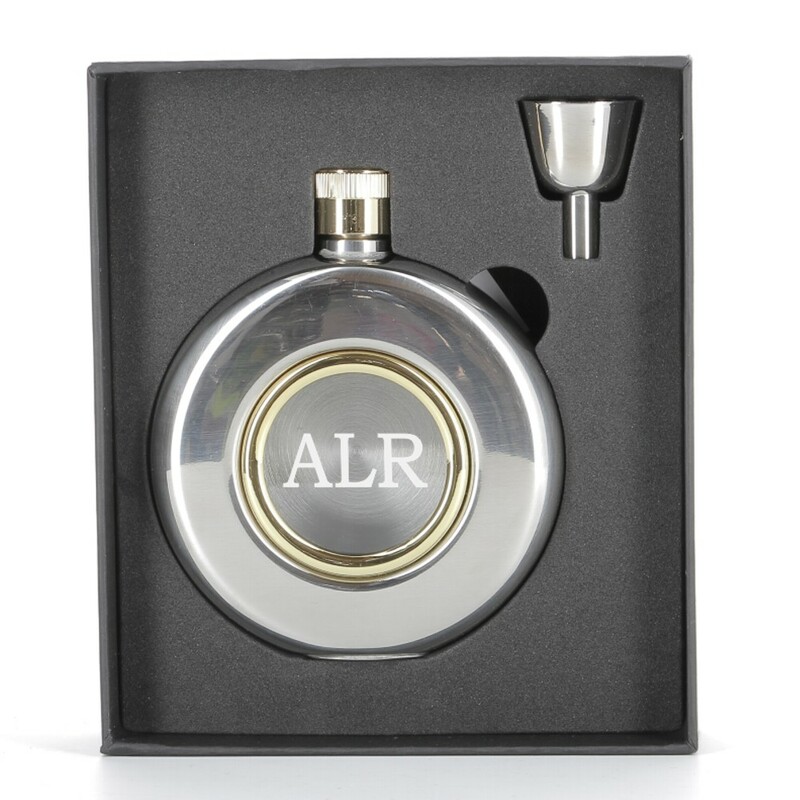 This amazing round hip flask measures 10.5cm (top of lid) x 9cm and it holds 5oz of liquid. Beautifully finished stainless steel complete in a black presentation box with funnel. These are perfect gifts for your Wedding party on your Wedding Day, they also make great Birthday, Anniversary and Christmas presents.